Is Lee Slattery going to put in another strong showing in a weak field event? Ryder Cup hopefuls Thomas Pieters and Eddie Pepperell are in town aiming to convince Thomas Bjorn that they're worth a place in the team. But do they make the Betting.Betfair golf team's each-way bets? "These low-key events are a great chance for some of the mid-tier players to shine and Slattery is an expert at cashing in. Back in 2015 he followed a win in the Russian Open with a second place at the KLM Open and last year he had a run of 9-19-2-6 from July to September, his runner-up finish coming at this week's venue when he lost by two after shooting a closing 73." These low-key events are a great chance for some of the mid-tier players to shine and Slattery is an expert at cashing in. Back in 2015 he followed a win in the Russian Open with a second place at the KLM Open and last year he had a run of 9-19-2-6 from July to September, his runner-up finish coming at this week's venue when he lost by two after shooting a closing 73. Lo and behold, a weak field went to Sweden last week to contest the Nordea Masters and up pops the Englishman to finish tied 10th. 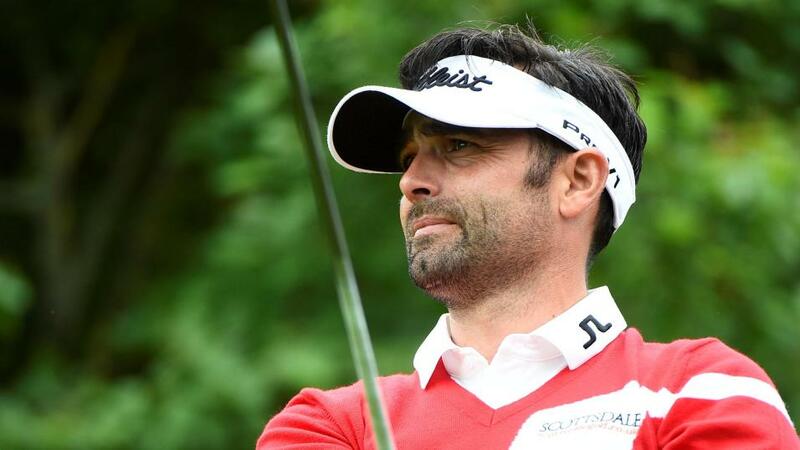 Also third in the Italian Open in early June and T9 at the Shot Clock Masters the week after, Slattery looks a fair each-way bet at 45/1 to land a trophy he feels he should have won last year. Lucas Herbert is one of the best prospects in world golf, driving the ball a country mile and hailing from a country that consistently produces elite golfers. So far, the 22 year-old Aussie has made the most of his few invites to play on the Race to Dubai, landing his second top-five finish in six such starts last week in Sweden. Now he gets a course that should be more favourable to his skills-set. Power off the tee is a key advantage around the Albatross Course, which always serves up a stack of birdies. Herbert is one of the longest around, ranks in the top-20 for both strokes gained off the tee and approach among this field, plus fifth for birdies over the past six months. Defending champion, Haydn Porteous, telegraphed his wellbeing 12 months ago with a sixth-placed finish in the Made in Denmark and he arrives here this time around following a sixth in Sweden, after a really slow start (tied 97th after round one). This week's favourite, Thomas Pieters, very nearly defended the title two years ago, when only a ridiculously hot Paul Peterson could stop him and I fancy the South African, Porteous, to go one better. The 24-year-old is far from consistent and he goes through long spells of doing nothing but he's a proven winner that looks to have hit form and he'd have no issues with defending a title. The 40/1 looks fair. Andrea Pavan is enjoying an exceptionally consistent year on tour and looks worth an investment at 50/1 in what is a pretty poor field. The Italian golfer ranks highly for greens-in-regulation and that could be key to a good showing on the Albatross Course as that stat was key last year with the first four home ranking in the top 10. Current form is on our side, too, as last week brought Pavan's second best finish of 2018 when he ended in a tie for sixth at the Nordea Masters. Longer term form is good, and we can also point to two further top 10s and five other top 20s in a fine season that has seen him make the weekend on 17 occasions from 23 events. While there has been no win, Pavan's level of golf in 2018 is far better than most of the field and in a week where very few players catch the eye I rate him a decent 50/1 shot. I don't normally spend my Sunday night watching and listening to every word said in the Sky Sports Golf studio but I'm glad I did last Sunday given that Matt Wallace was the star guest; and he was hugely impressive too. After claiming his third European Tour win in just over 12 months at the BMW International Open earlier this summer - in a much stronger field than the one assembled this week - the Englishman missed a string of cuts including all three links golf tests. But Wallace bounced back really well at the US PGA Championship a fortnight ago, recording his first top 20 finish in a major, and that bodes well given he told Sky Sports' Nick Dougherty that he felt he was playing so well that he had to put this week's event on his schedule and that he was confident of going to Czechoslovakia and putting in a performance that would catch the eye of European Ryder Cup captain Thomas Bjorn. Take the hint. I have.